Maya Noronha is a lawyer and anti-abortion and anti-birth control advocate. She received undergraduate and law degrees from Georgetown University, where she was active in campus anti-abortion groups. She was previously employed as the deputy director of the Republican Lawyers Association, a lobbyist at the Federation for American Immigration Reform and a lawyer at Baker & Hostetler LLP. She has also worked anti-abortion organizations, including the Heritage Foundation and the American Center for Law and Justice, as well as for anti-abortion Rep. Steve Stockman. She is a member of the Federalist Society and the John Carroll Society of the Archdiocese of Washington. In the past, Noronha has argued for prioritizing the preferences of healthcare providers who have religious or conscience-based objections to certain services over the needs of patients. As a special advisor at the OCR, Noronha is in a position to make her narrow beliefs policy. The Heritage Foundation is a right-wing think tank. Noronha worked as a legal intern there from February 2011 to May 2011. She tweeted a photo of herself with former chairman of the Heritage’s legal center, Edwin Meese III, in May 2017. Heritage, where Noronha’s boss, OCR Director Roger Severino, once lead the religious freedom division, has lauded the Trump administration’s conscience protection rules. The American Center for Law and Justice (ACLJ), where Noronha worked as a law clerk in 2010, was founded by far-right televangelist Pat Robertson. Its chief counsel is Jay Sekulow, a personal attorney to Donald Trump. The ACLJ frequently takes on religious liberty, anti-abortion and anti-LGBT cases. It recently released a deceptive anti-Planned Parenthood propaganda film, Abortion, Inc.
Noronha is a member of the anti-abortion and anti-birth control group Women Speak For Themselves, which promotes the belief that “women are disadvantaged respecting dating and marriage, especially because of contraception and abortion,” was created in opposition to Obama’s requirement that employers cover birth control in health insurance plans. It encourages members to demonstrate and create “high-quality content” (social media posts, letters to the editor, opinion pieces) opposing birth control and the birth control requirement. King, who co-founded University Faculty for Life, wrote “the reality of abortion in America is widely concealed by lies and half truths.” The Cardinal O’Connor Conference on Life’s annual prize for “outstanding collegiate pro-life groups” is named for him. 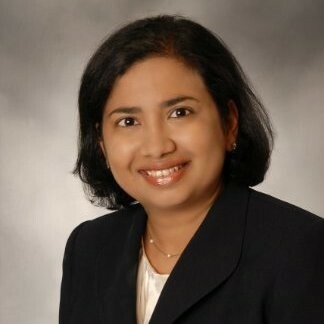 During A Visit With Catholic University Of America Law Students, Noronha Said That She Is “Currently Proposing Reforms To The Same Regulation” Discussed In Her Article.